This is one you’ve probably heard of! 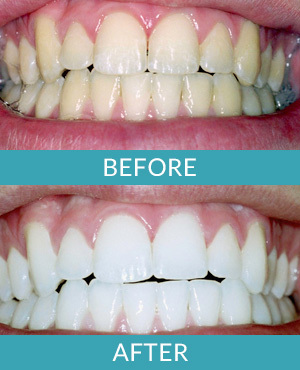 Teeth whitening is the process of bleaching your teeth to remove stains or color from aging and restore the the natural whiteness of your teeth. It is one of the most popular and easiest cosmetic dental procedures available. And contrary to popular belief, it does make a difference how you get your teeth whitened! Having it done professionally has many advantages over the tooth bleaching kits you may find at the grocery store. It’s pretty simple, actually. Teeth whiteners use a tooth bleaching agent (such as carbamide peroxide or hydrogen peroxide) to remove stains from your teeth. You can do it through at-home treatments supervised by Dr. Stewart or Dr. Hull, or through an in-office accelerated process known as Zoom whitening. Zoom! Whitening is an in-office whitening system that can whiten your teeth up to eight shades in under an hour. Zoom! brightens your teeth safely and effectively, and you will get to see immediate results. Zoom! treatment is perfect for patients who need fast results for a wedding or other social event. Should I Try Tooth Whitening? If you’re unhappy with the color of your teeth, then absolutely! We can consult with you about the different methods you can use to get your teeth whitened, and help you choose the one that is right for you. Call us now if you are in the Grand Rapids area, including Comstock Park and Rockford, MI! We’ve got friendly staff available at 616-784-2377, or, you can use the contact form on this page to send us a message. We can’t wait to hear from you! 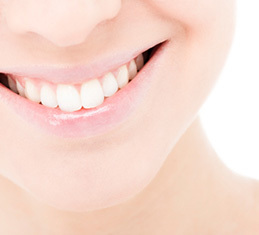 Want to Save 45% on Teeth Whitening?